It starts: you make something awesome, like a handbag. And you give it to your friend. And your friend’s friend sees it and says “Hey–I’ll pay you to make me one of those!” So you do it. And it happens again and again and again. So you think–“Wow, if so many people want my bags, why don’t I just open up a shop?” But where to start? There are a million different ways to sell your products on the internet and there are pros and cons of each. But one question I’ve been asked several times lately is this, “How can I sell items from my own blog?” I’ve tried a bunch of different things but recently I discovered this new way that is REALLY awesome. I like it a lot. Ready for this? It’s called Shoplocket. Cute name, right? Well look over to the sidebar —> Go on, look. You might see a cute little picture of a puff quilt and you can purchase my Puff Quilt Pattern. Go on and try it out! You don’t have to purchase of course (although thanks, that would be awesome) but you can see just how easy it is to purchase my item. And BONUS: if you want to sell PDF items (like printables and patterns), it has an instant download option which is so incredibly convenient and easy. How it Works: Sign up for an account and start creating items to sell. Each item you list you can embed on your website or blog or even your social media pages. So you don’t even have to direct people to another page to purchase, they can purchase right there on your blog or sidebar! 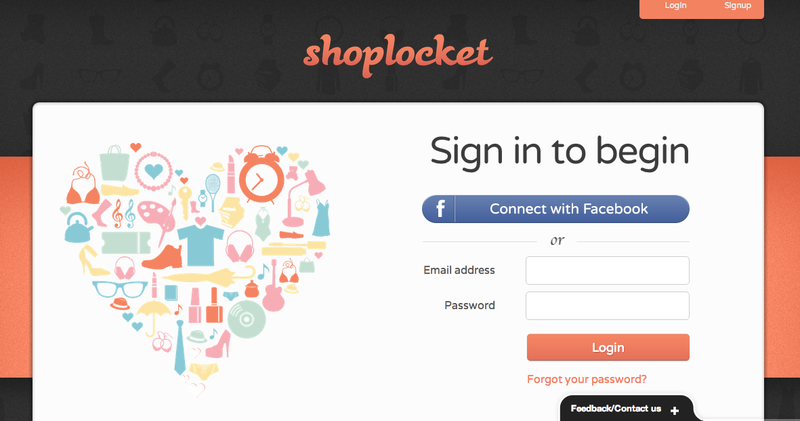 **But if you don’t have a website you still can send your customers straight to Shoplocket to buy. Cost: Let’s get down to cost. What is the monthly fee for something like Shoplocket? $40 a month? $20 a month? Actually it’s $0 a month. Shoplocket charges a very small percentage towards every sale you make. So you don’t sell anything for awhile, you don’t have to pay anything either! The thing I like about it is that it’s very low commitment. You don’t have to come up with a company name or anything if you just want to sell one or two items. And if you make some PDFs that you want to sell on your sidebar, THIS is the answer. Seriously, it could not be easier. And there’s a bonus giveaway here: Go sign up for a Shoplocket account now and then enter the giveaway. FIVE new signup accounts will win a $100 Michaels Gift Card! Make sure to Like Shoplocket on Facebook! I received product and payment via The Blueprint Social (www.theblueprintsocial.com) for this post, however, opinions are 100% my own. What a great idea! Seems easy and a little lower cost than some other options out there! I might sell handmade wallets. My mother crochets so prob would help her sell her items! I really don’t know what I’d sell! I like making more custom stuff for people. So you have to sign up, even just to look at the sight? Can you just browse items? So you have to sign up, even just to look at the site? Can you just browse items? I was just wondering about this very thing since I just started my own blog. Awesome, Thanks! i make and sell baby items but got annoyed with etsys charges and stopped! might start them online again and handbags as well! 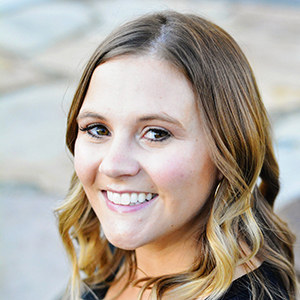 This is so great – while I was browsing your facebook page I loved how your shop looked and wondered what you used that worked so well with Facebook! Thanks for sharing! I have been very curious about this lately! I do glass etching and family name signs….would like to start making other types of signs. I will have to figure out how you would post a personalized item. I’m going to check it out. I have a shop on Esty already but this sounds like I could do both. I would sell my scarves. Right now I sell them out of my hairdressers shop. So interesting! I’ve just gotten started on ETSY and Towardthestars.com, making superhero for girls designs. I have a million I would like to test out, without having to pay for a listing. Thanks! BTW, how could you say no to a Michael’s Card?!? I would love to sell my jewelry! And I am interested in getting started in the vinyl crafts. I would love to sell my jewelry! I am also interested in starting vinyl projects! I make owl hats – crochet – I’m going to sell those! Quilts, I have been think about making and selling them but I wasn’t sure about how I wanted to go about that. What a great program! I would love to be able to sell things that I’ve made, little girls skirts or baby blankets. Thanks for the giveaway! So easy! What a great idea! Пока еще отсрочиваете необходимый ремонт индивидуальной иномарки, подвергая опасности самих себя и других людей, либо вовсе ловчитесь выкрутиться без помощника на четырех колесах, внезапная поломка которого перевоплотила его в недвижимость? По сути, с данными условиями сталкиваются сотни цивилизованные люди, оттого, что комплектующие на машины импортного автопрома, и автозапчасти mercedes не выступают исключением, порою получаются элементарно неприступными по разноплановым предпосылкам. К примеру, найти новые оригинальные детали на “иностранку” в родном населенном пункте – это, к большому сожалению, осуществимо подавно не для каждого жителя нашей страны, тем более, если автомашина уже несколько лет не делается на конвейере. Плюс к этому, розничные цены на данные требуемые детали не редкость, когда чрезмерно высокие, и вовсе не по карману. Но все же, причин для расстройств по факту нет, благо есть разборка mercedes и прочих популярных машин “иностранок” в нашем государстве от компетентной компании Автохирург. Собственно вот наверняка не все плюсы покупки бывших в эксплуатации деталей на машину: низкая общая стоимость; удастся приобрести запчасти на машину, которые смогут прослужить приличный период; практическая возможность обнаружить запчасти на устаревшие модификации. Кстати, заявленная фирма продает только отличного качества автошрот mercedes и остальных машин “иностранок”, потому, что все комплектующие по итогу после соответствующей разборки в обязательном порядке пройдут надлежащую проверку на дефекты мастерами своего дела. Прибавим, что заказывать, допустим, запчасти mercedes либо еще что-нибудь с автошрота весьма реально в интернет-магазине и с пересылкой в нужный населенный пункт в Украине. Таким образом, по разумным ценам приобрести б/у запчасти и комплектующие на свою “иностранку” в online-магазине автошрота Автохирург в действительности доступно и для Вас, заодно уже сейчас!